Recipe courtesy of my friend, Jeff B. Since he uses Falafel Chips in place of nacho cheese chips, it makes it a gluten-free treat. With a mixer, blend 16 ounces room-temperature cream cheese with 1 1/2 cups shredded cheddar, 3 tablespoons minced onion, 2 tablespoons salsa, 2 teaspoons ground cumin and 1 teaspoon minced jalapeno. Scoop onto plastic wrap and use the wrap to form the mixture into a 5-inch pumpkin-shaped ball; chill at least 2 hours. 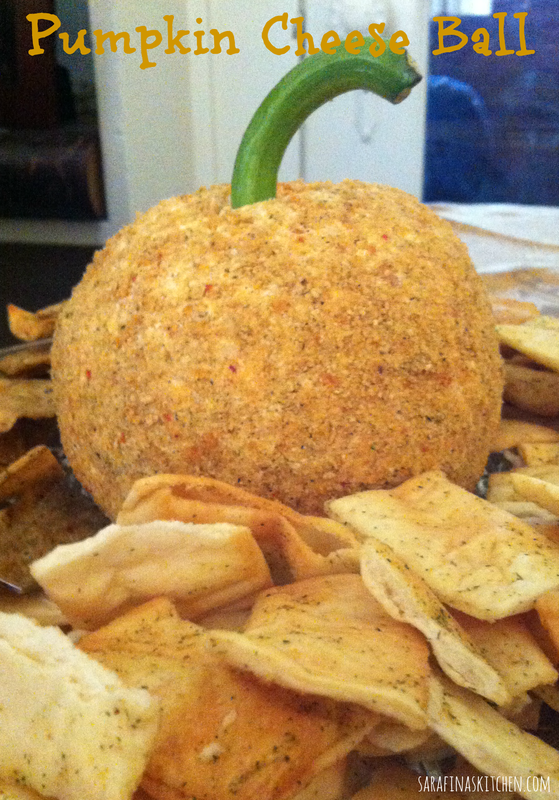 To serve, unwrap, roll in crushed falafel chips and press a bell pepper stem into the top.